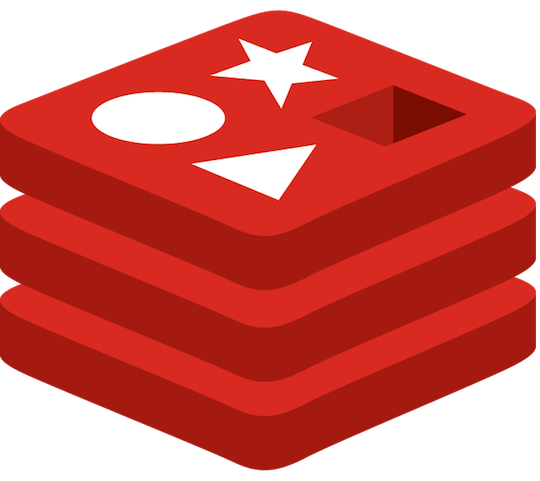 Redis is an open source in-memory database. It stores data in key-value format. Because of residing in memory, redis is an excellent tool for caching. Redis provides a rich set of data types. This gives redis upper hand over Memcached. Apart from caching, redis can be used as distributed message broker. To achieve high availability, redis can be deployed in cluster along with Sentinels. Sentinel is a feature of redis. Multiple sentinels are deployed across redis clusters for monitoring purpose. When redis master goes down, sentinels elect a new master from slaves. When old master comes up again, it is added as slave. Another use case of clustering is a distribution of load. In high load environment, we can send write requests to master and read request to slaves. This tutorial is specifically focused on Redis Cluster Master Slave model. We will not cover data sharding across cluster here. In data sharding, keys are distributed across multiple redis nodes. 6380 and 6381 ports. Same will be applied for sentinel services. Master sentinel will listen on 16379 port while slave sentinels will be on 16380 and 16381. Lets put this easy way. This tutorial is tested on CentOS 6.9. For CentOS 7.X, check below Notes Section. We will follow same installation steps for setting up of all servers. Only difference will be in configurations. Edit config file /etc/redis/6379.conf in your favorite editor and change below options. bind 192.168.0.1 port 6379 daemonize yes pidfile "/var/run/redis/redis_6379.pid" logfile "/var/log/redis/redis_6379.log" dir "/var/redis/6379"
bind 192.168.0.1 port 16379 sentinel monitor redis-cluster 192.167.0.1 6379 2 sentinel down-after-milliseconds redis-cluster 5000 sentinel parallel-syncs redis-cluster 1 sentinel failover-timeout redis-cluster 10000 daemonize yes pidfile "/var/run/redis/sentinel_6379.pid" dir "/var/redis/6379"
You can find sample init scripts in Notes section below. Edit config file /etc/redis/6380.conf in your favorite editor and change below options. bind 192.168.0.2 port 16380 sentinel monitor redis-cluster 192.167.0.1 6379 2 sentinel down-after-milliseconds redis-cluster 5000 sentinel parallel-syncs redis-cluster 1 sentinel failover-timeout redis-cluster 10000 daemonize yes pidfile "/var/run/redis/sentinel_6380.pid" dir "/var/redis/6380"
Edit config file /etc/redis/6381.conf in your favorite editor and change below options. bind 192.168.0.3 port 16381 sentinel monitor redis-cluster 192.167.0.1 6379 2 sentinel down-after-milliseconds redis-cluster 5000 sentinel parallel-syncs redis-cluster 1 sentinel failover-timeout redis-cluster 10000 daemonize yes pidfile "/var/run/redis/sentinel_6381.pid" dir "/var/redis/6381"
For fail-over testing, we can take down redis-master either using init script or below command. echo "Starting Redis Sentinel server..."
echo "Waiting for Redis Sentinel to shutdown ..."
If redis is deployed in cloud environment like AWS, set up security groups/firewalls carefully. Most of times, cloud providers use ephemeral ips. Because of ephermal ips, even redis is bound to private ip, it can be accessed over public interface. For more security, dangerous commands can be disabled(renamed). But be careful with them in cluster environment. Redis also provides simple authentication mechanism. It is not covered here because of scope. During redis fail-over, config files are rewritten by sentinel program. So when restarting redis-cluster, be careful.